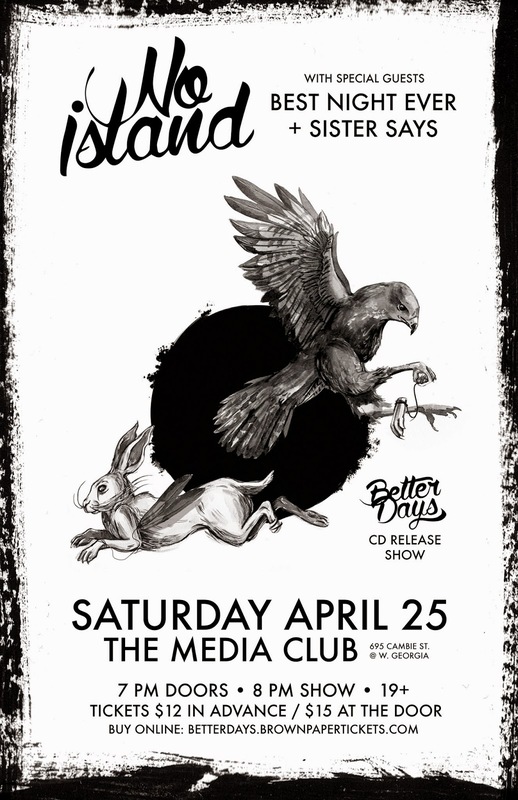 Saturday April 25, come experience the unveiling of BETTER DAYS live at The Media Club in Vancouver, BC, Canada. Tickets $12 in advance at http://betterdays.brownpapertickets.com or direct from band members (no service fee! ), or $15 at the door. With special guests Best Night Ever & Sister Says.